Michael Nielsen with Motley Fool pointed out reasons that big telecom should be scared: competition, competition, competition. Meanwhile, AT&T patted itself on the back because they say 98% of its customers have download speeds of 6 Mbps or higher (so they claim). So yes, congratulations are in order, in the most minor way possible. “… it seems odd for a conservative – whether an old-guard big-business Bush-era conservative or a new-guard Paulite libertarian conservative – to support Net Neutrality. Did you know that communities that have a service provider that offers a 1 Gig service have a per capita GDP that’s 1.1 percent higher than other communities that have little or no gigabit services? That’s the report from Sean Buckley on Fierce Telecom this week. But cities that didn’t win the “gigabit google lottery” are taking action on their own. According to Denise Linn of Next City, Louisiville has identified three companies that will invest in a gig in areas of town. Of course we think a publicly-owned network is a better bet for the city, but this is a good step. "As soon as we started the conversation about gig networks, we heard from businesses, universities, high-tech start-ups, mayors and first selectmen – really such a variety of stakeholders – about how greater Internet speeds at lower costs are essential to their functioning," Katz said in a West Hartford Patch article. "We knew it was an important economic development tool, but we've learned gig networks are also essential for medicine, precision manufacturing, education, e-government, many different people in different sectors clamoring for gig networks." Jason Myers reported that the initiative is “open to any and all municipalities in Connecticut." Organizers hope that network partners will be encouraged by more cities joining the initiative. Big News from the land of 10,000 lakes: Joan Engebretson reported in Next City that Paul Bunyan Communications — a co-op in Northern Minnesota will be home to the nation’s largest public gigabit service as early as 2015. The “GigaZone” will cover about five thousand square miles. Seattle’s new Chief Technology Officer has broadband on his mind. GovTech profiled Michael Mattmiller this week. And finally, we thought Santa Monica’s public network was fast before— now they’re raising the bar yet again. The city now boasts a 100 Gigabit per second fiber network. 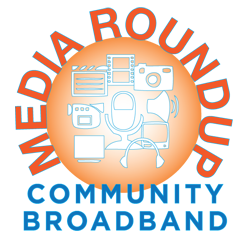 “This is only the latest milestone in a long line of advancements Santa Monica has made in the broadband arena. We are considered a leader in social tech and have leveraged our fiber optic network to advance free Wi-Fi in public parks and major bus routes, provide internet to our libraries, and connect our schools and college locations. These efforts have contributed to education, economic development, and provide impressive Internet speeds for large conferences and events. We are proud to be the 1st, 100 Gigabit municipal network in the U.S.,” said Jory Wolf, the City of Santa Monica’s Chief Information Officer.